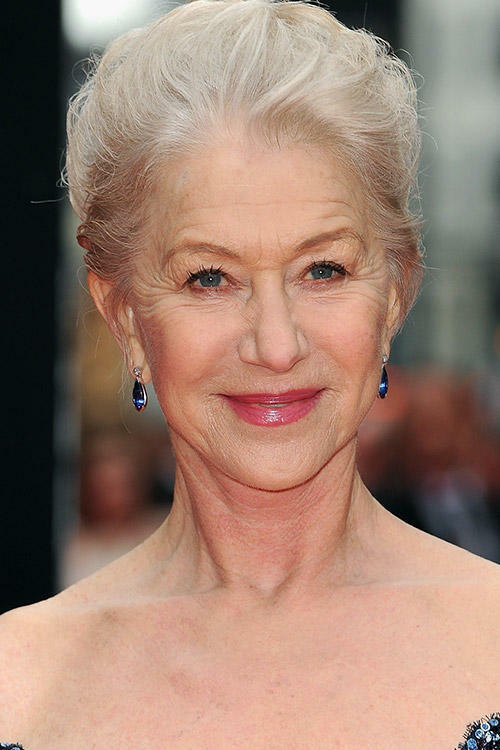 Helen Mirren at the Laurence Olivier Awards in London. Helen Mirren as Rachel Singer in "The Debt." Helen Mirren at the Canada premiere of "The Debt." 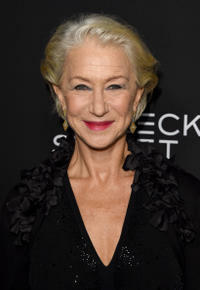 Helen Mirren at the California premiere of "The Tempest (2010)." Helen Mirren and John Malkovich in "Red." Helen Mirren at the L.A. premiere of "Enchanted." Helen Mirren in "National Treasure: Book of Secrets." Nicolas Cage, Helen Mirren and Diane Kruger in "National Treasure: Book of Secrets." Helen Mirren, Nicolas Cage and Diane Kruger in "National Treasure: Book of Secrets." Helen Mirren as Prospera in "The Tempest." 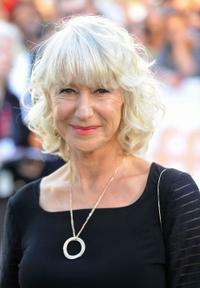 Helen Mirren in "Red 2." Helen Mirren as Elinor and Eliza Hope Bennett as Meggie in "Inkheart." Helen Mirren and Director Kevin Macdonald on the set of "State of Play." Helen Mirren and her husband Taylor Hackford at the 16th Annual British Academy of Film and Television/LA Cunard Britannia Awards. Helen Mirren, Kathy Bates and Kate Winslet at the 16th Annual British Academy of Film and Television/LA Cunard Britannia Awards. 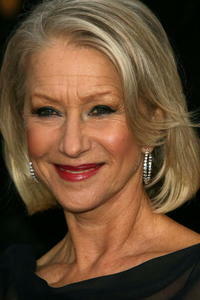 Helen Mirren at the British Academy of Film and Television Arts/Los Angeles awards. 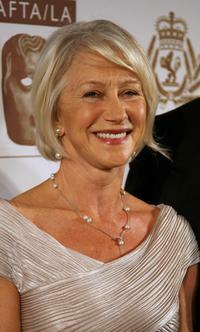 Helen Mirren at the 59th Annual Primetime Emmy Awards at the Shrine Auditorium. Helen Mirren in "The Debt." Helen Mirren as Ida in "Brighton Rock." Helen Mirren at the premiere of Paramount Pictures "Beowulf". Helen Mirren as Cameron Lynne and Russell Crowe as Cal McAffrey in "State of Play." Rachel Mcadams as Della Frye and Helen Mirren as Cameron Lynne in "State of Play." 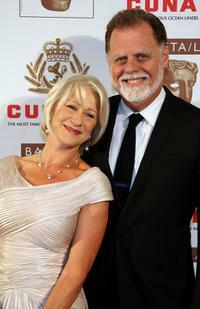 Helen Mirren and her husband Taylor Hackford at the British Academy of Film and Television Arts/Los Angeles awards. Helen Mirren and Daniel Radcliffe at the National Movie Awards held at the Royal Festival Hall. Ciaran Hinds and Helen Mirren in "The Debt." 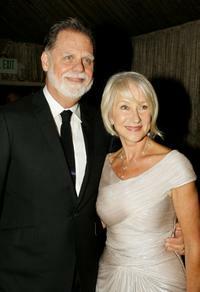 Helen Mirren and her husband Taylor Hackford at the third annual "A Fine Romance" an evening of celebrity performances honoring musicals from stage and screen at Sony Pictures. 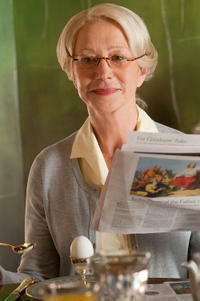 Helen Mirren as Elinor in "Inkheart." Helen Mirren at the film premiere of "Beowulf" in Los Angeles, California. Helen Mirren as Hobson in "Arthur." 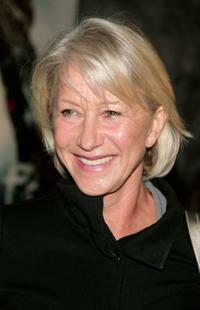 Helen Mirren as Cameron Lynne in "State of Play." 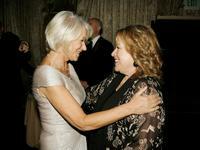 Helen Mirren and Kathy Bates at the 16th Annual British Academy of Film and Television/LA Cunard Britannia Awards. Helen Mirren and Robin Wright Penn at the premiere of Paramount Pictures "Beowulf". Helen Mirren and Paul Bettany at the 16th Annual British Academy of Film and Television/LA Cunard Britannia Awards. Helen Mirren at the National Movie Awards held at the Royal Festival Hall. Helen Mirren at the 79th Academy Awards in Hollywood, California. Helen Mirren at the California premiere of "Trumbo."